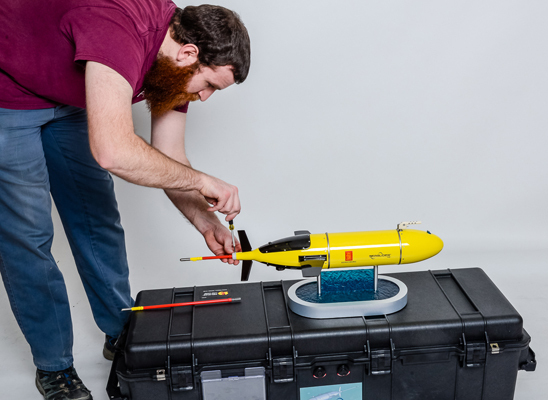 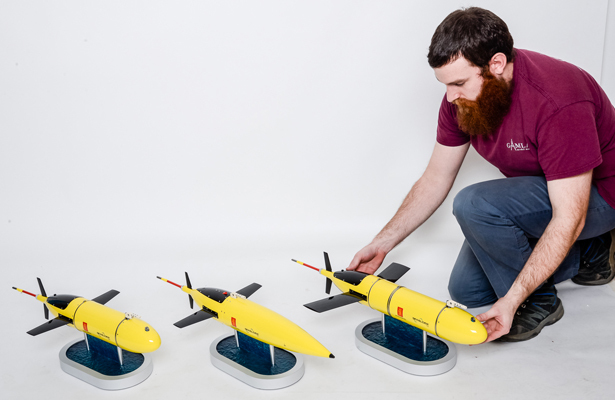 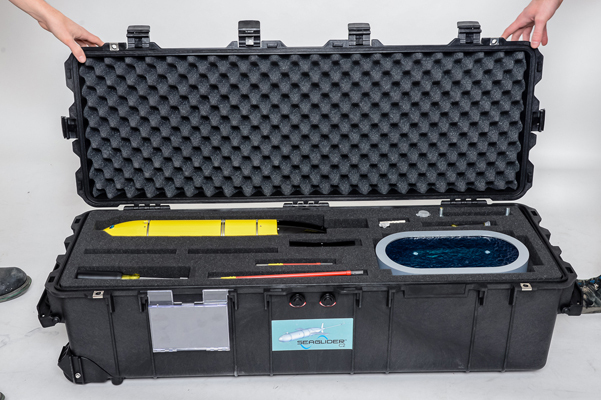 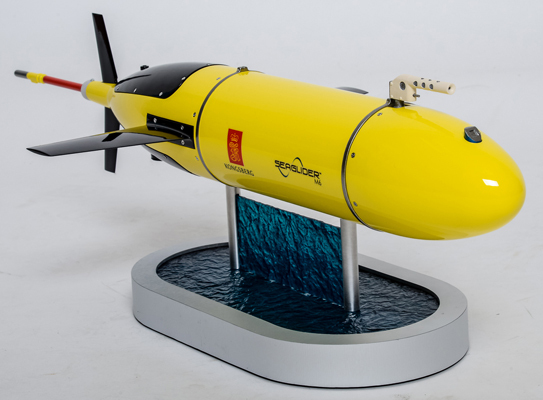 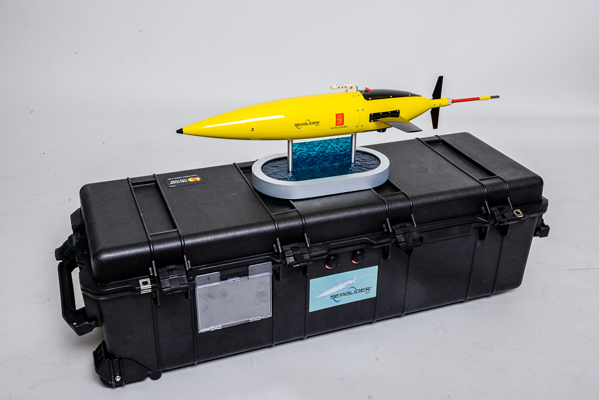 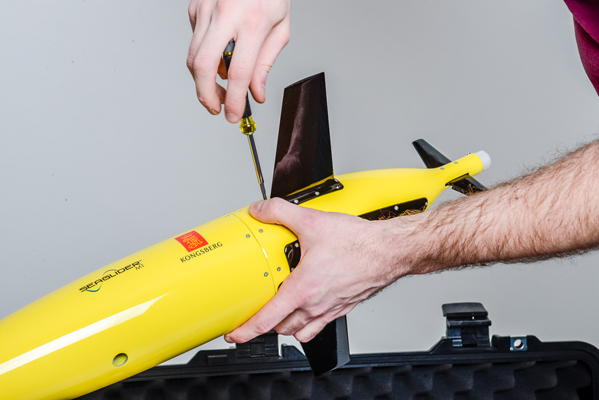 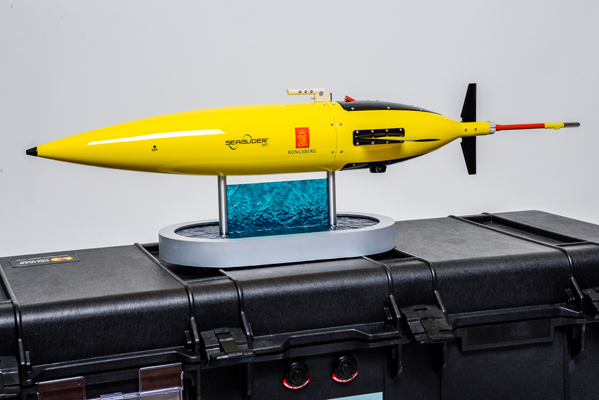 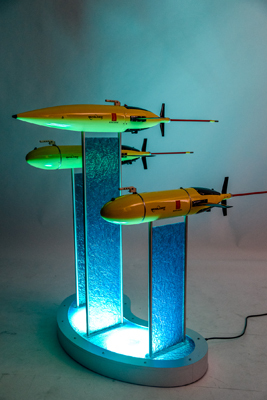 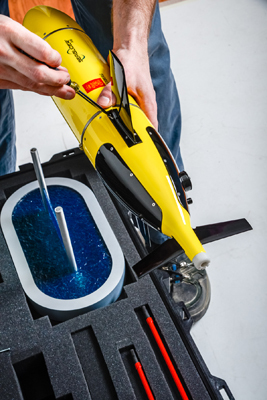 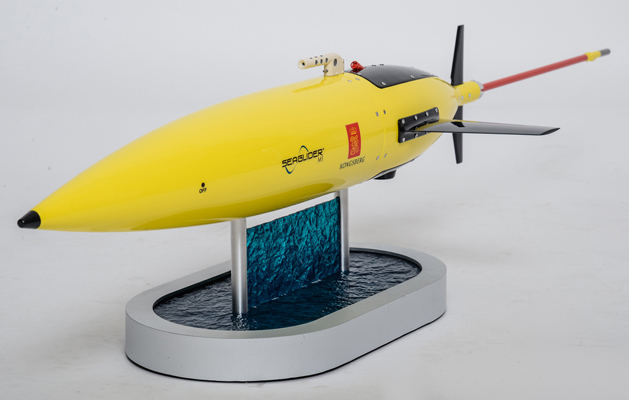 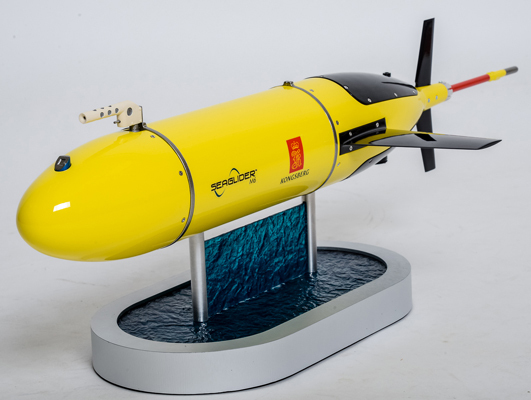 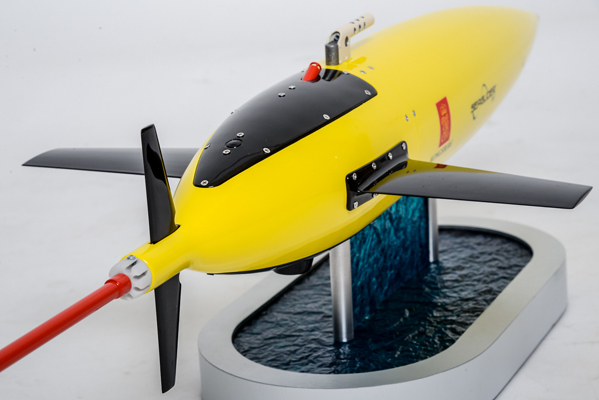 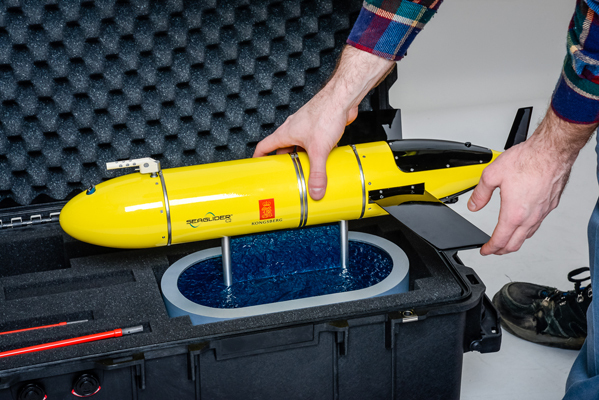 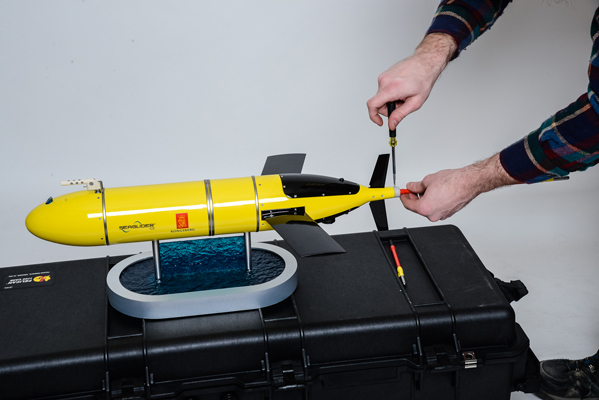 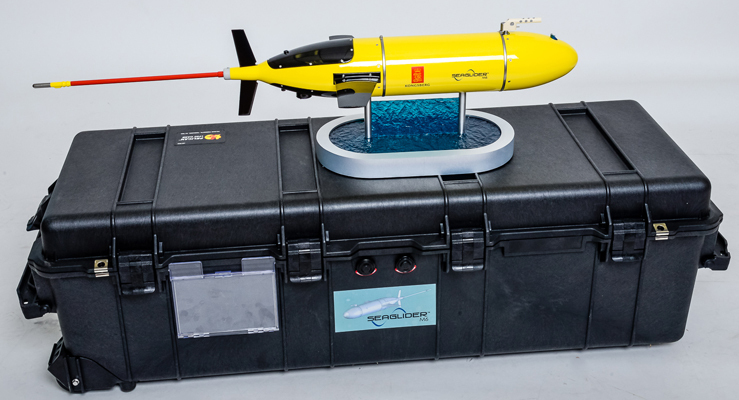 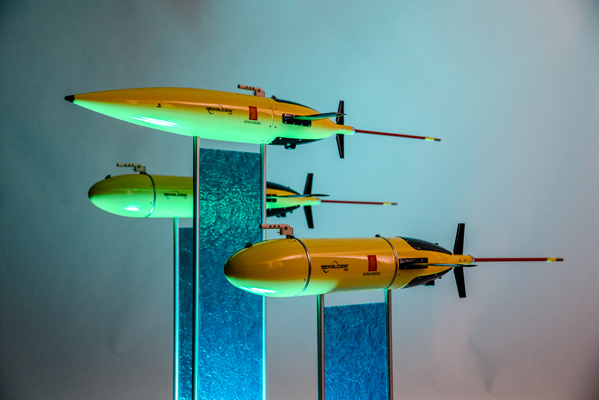 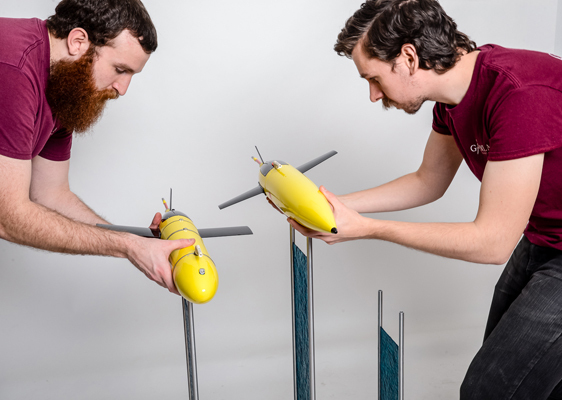 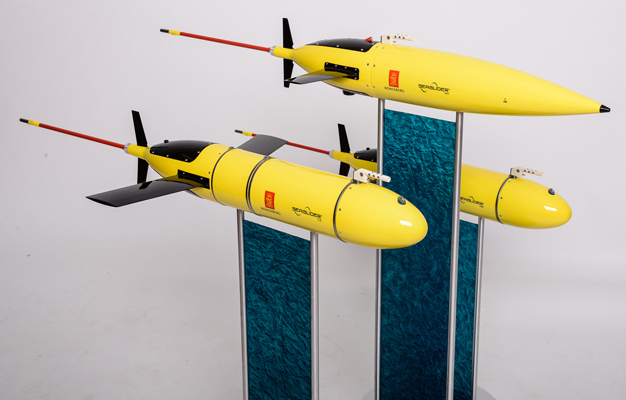 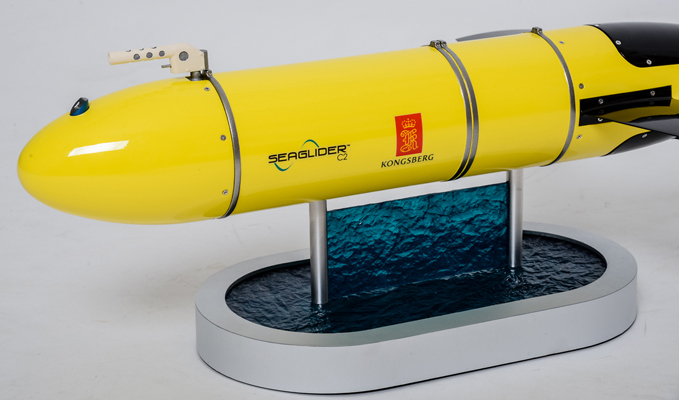 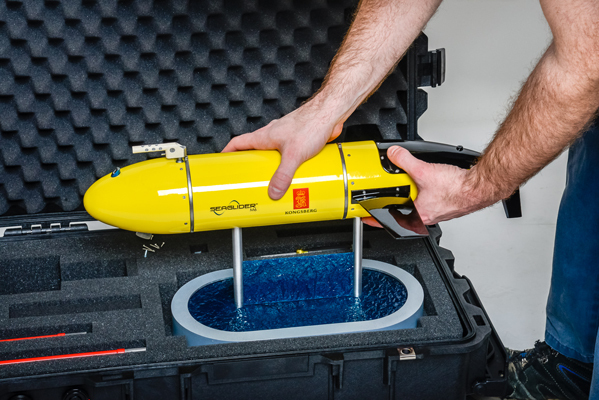 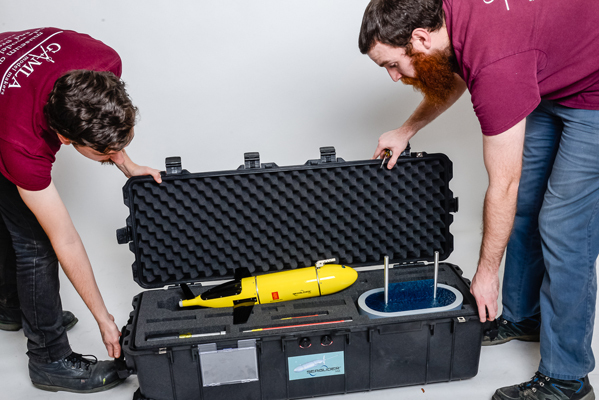 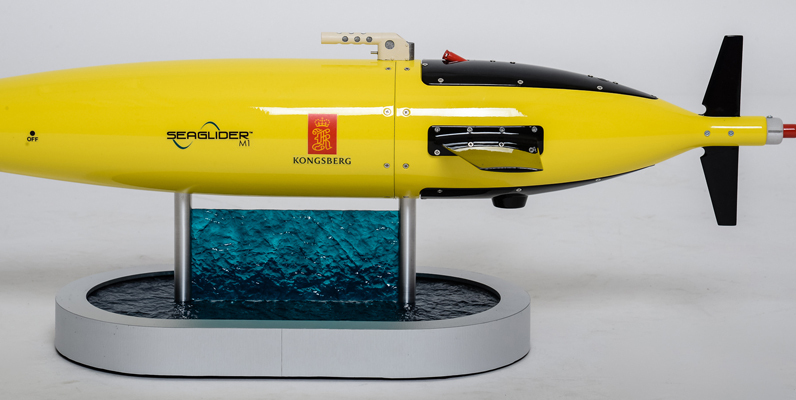 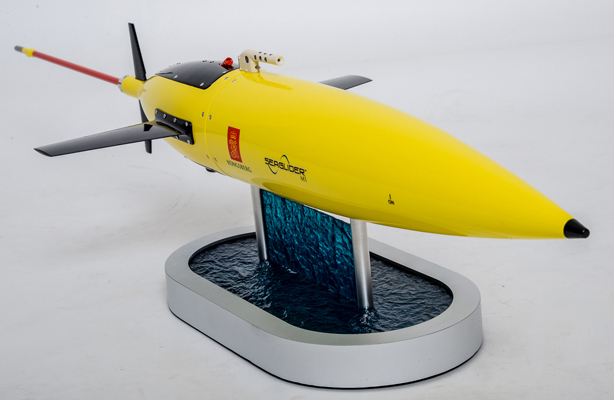 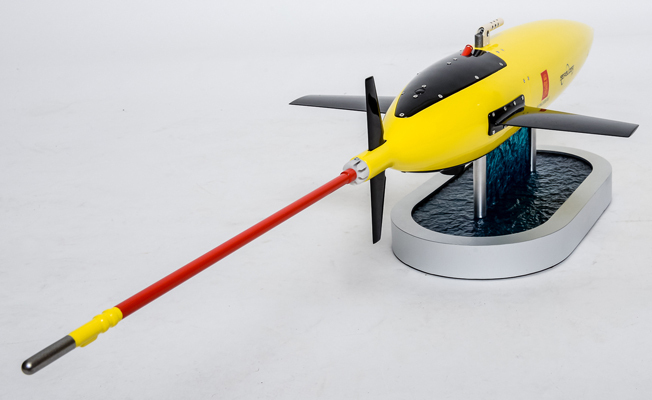 This is a series of three Remotely Controlled Underwater Vehicles (drones) designed specifically for trade shows. 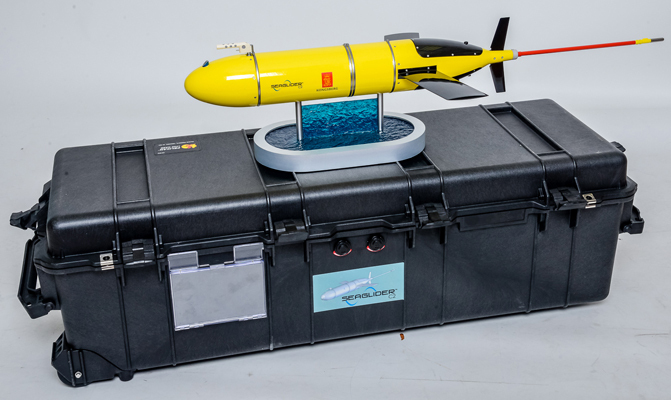 The models were developed in 3D software, like most of our models. 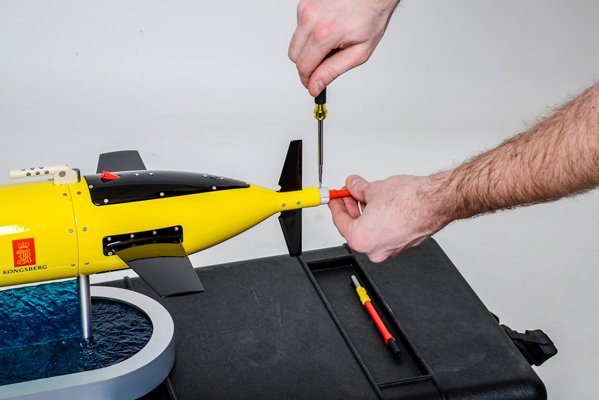 The parts were rapid prototyped from high durability plastic. 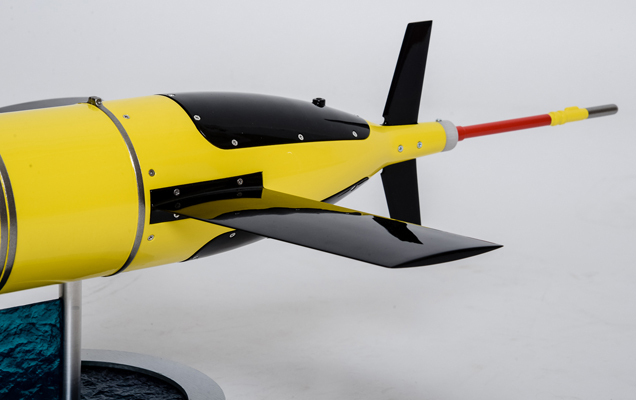 The surface of all main parts was finished to perfection and painted in automotive paints with a spectacular high luster finish. 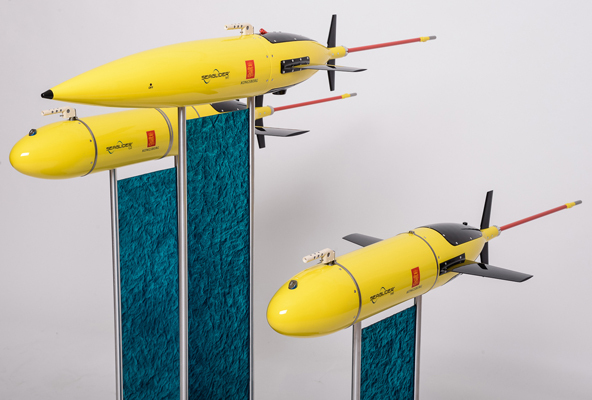 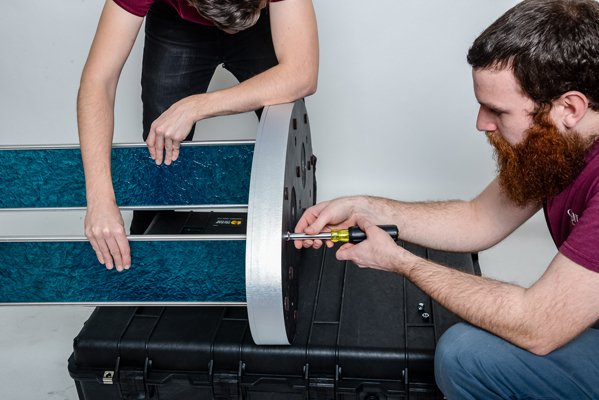 The models were designed to be transported partially disassembled, which assures the highest survival rate of the models during transportation and their longevity. 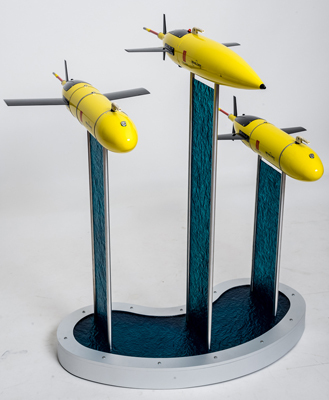 There were two types of bases designed to mount the models. 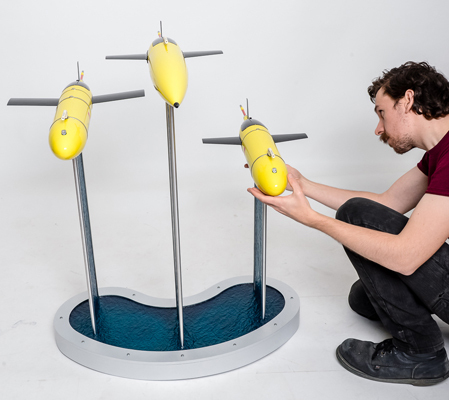 One is an individual tabletop base for each model. 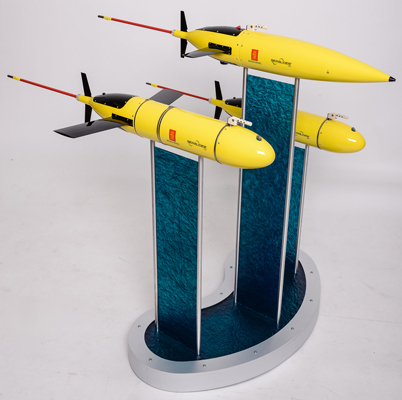 Another one is a floor stand to display all three models together. 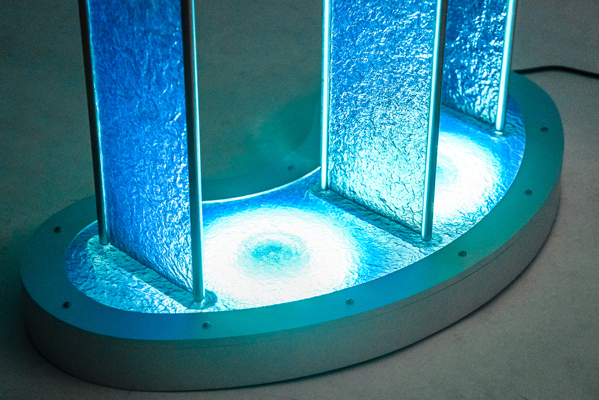 We implemented in all bases a translucent textured decorative material, which we found and ordered specifically for this project. 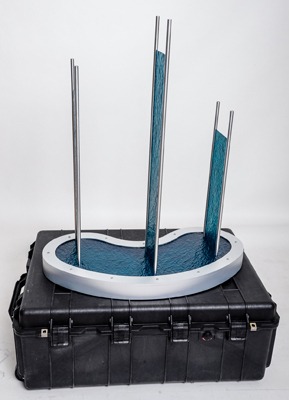 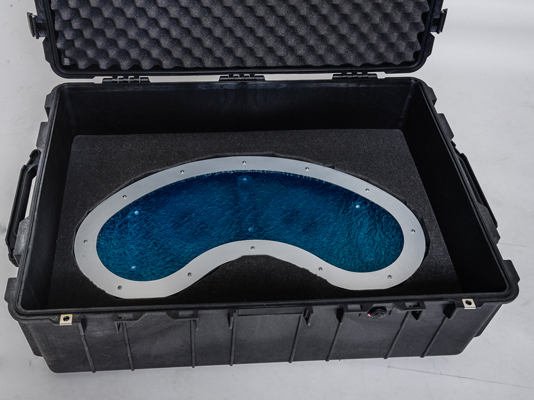 This blue green material added to the maritime feel and look of the bases and the floor stand and looked good in combination with aluminum frame and mounting poles. 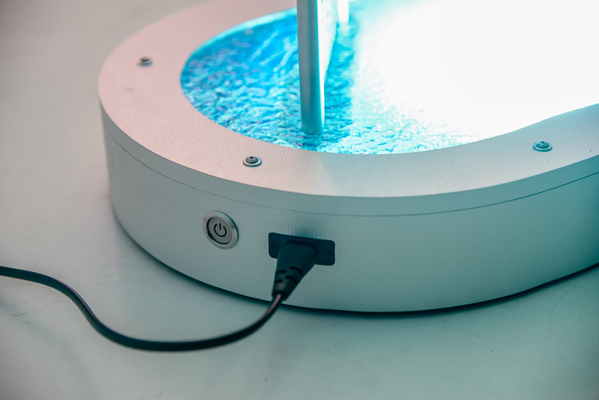 The floor stand was also made illuminated. 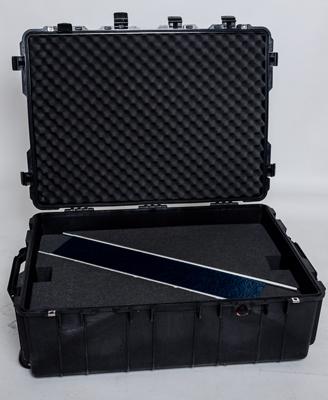 Every model was packed in an individual high impact plastic transit case, along with a tabletop base. 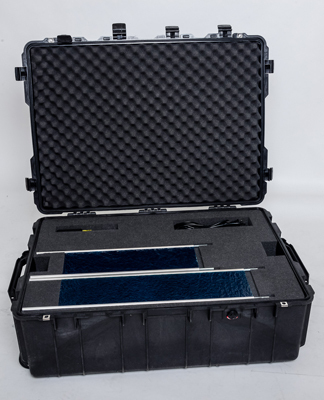 The floor stand was packed in its individual transit case. 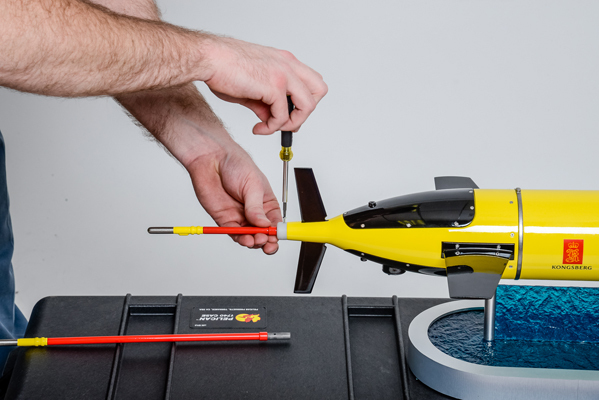 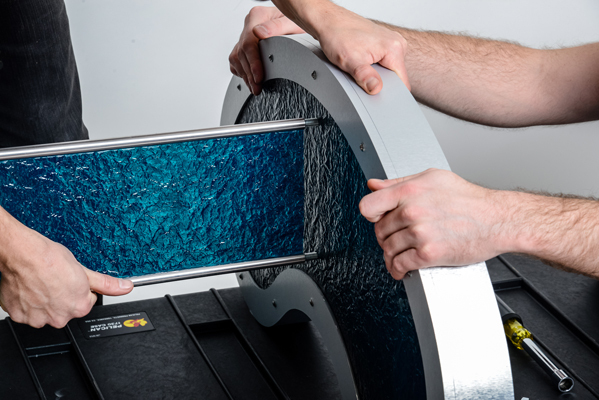 All models, bases and the floor stand are easy to assemble and disassemble.